Mindfulness is the aware, balanced acceptance of the present experience. It isn’t more complicated that that. Your backpack is loaded with water, snacks, and the safety equipment you will need for your hike. You have been practicing yoga as part of your conditioning, and you just did a quick sequence at the trailhead to warm up before you head out. There’s one last question to ask: Are you here? Being present will not only keep you focused on where you are putting your feet, it also opens a new world on the trail. When you hike mindfully, you will see more, hear more, and be aware of nature. After all, why hike if not to explore the wilderness? For three to five minutes during your hike, walk slowly and deliberately, taking note of everything that is going on while you move. Listen to the sound of your breath. Feel the air move around you. Feel your muscles expanding and contracting as you step. Notice your weight shift as you lift one foot and then the other. Feel the ground under your feet. With practice, you can build up your walking meditation to longer times. Observe your surroundings very closely. Try to use as many senses as possible (taste, touch, hearing, smell, sight). Smell the flowers. Listen to the bird songs. Touch the bark of the trees. Taste the air. Watch for small animals darting away. 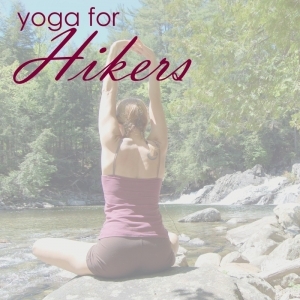 Practice using all your senses for ten to twenty minutes while you hike. Eventually it becomes habit. Help keep the Adirondacks, or wherever you are hiking, beautiful and wild with these tips. Speak softly or not at all, except in emergencies. If you must hike with music, use ear buds. Keep your pets under control and pack out pet waste. Avoid sensitive habitats such as meadows, lakeshores, wetlands and streams. Keep your distance from any wildlife you encounter. If you pack it in, pack it out again.